Shooting the pride from her 4x4, Vorster decided to try and take a video from her phone as well as snapping on her DSLR. Later noticing the phone slipping out of the tripod, she leaned to adjust it and accidentally lost grip of her camera. 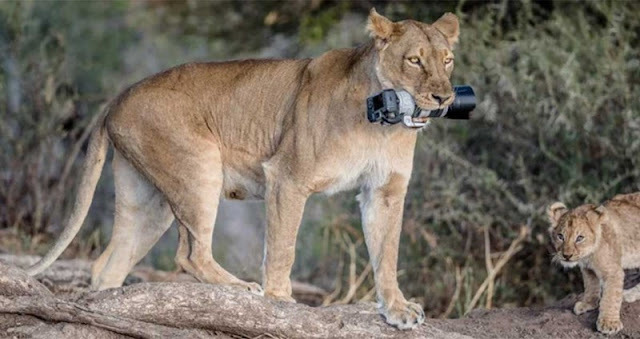 Upon being alerted by the noise of it hitting the ground, one lioness made her way towards the camera, causing the party to retreat. 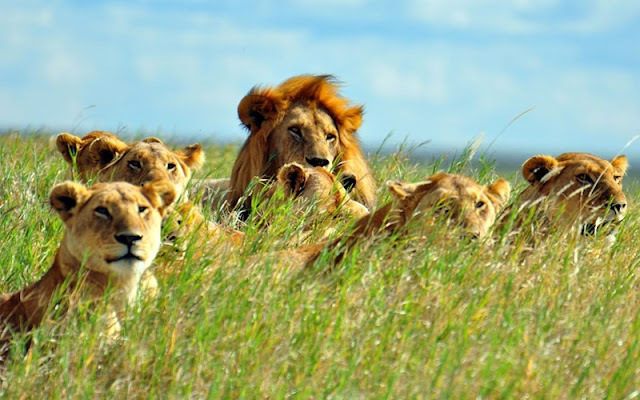 Vorster believes that although usually a very relaxed animal, the lionesses were being protective of their small cubs. 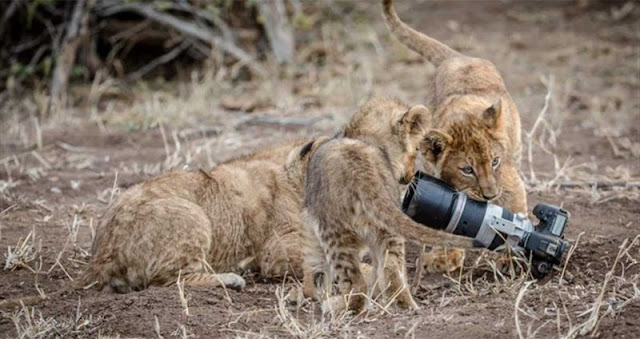 Using a spare camera, the photographer was able to document the animal taking away the device in her mouth and presenting it to her cubs as a toy. 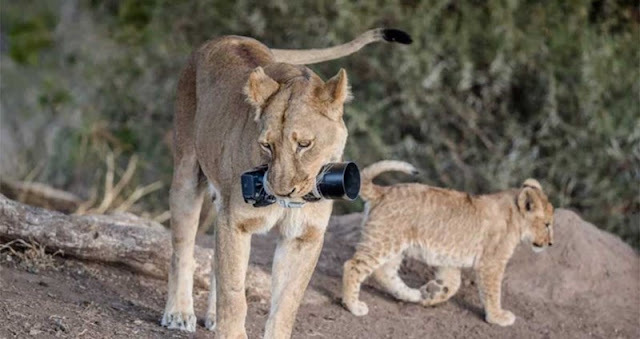 “The lioness carried it for quite some way before she dropped it and the cubs pounced on it and started to play with it,” said Vorster. 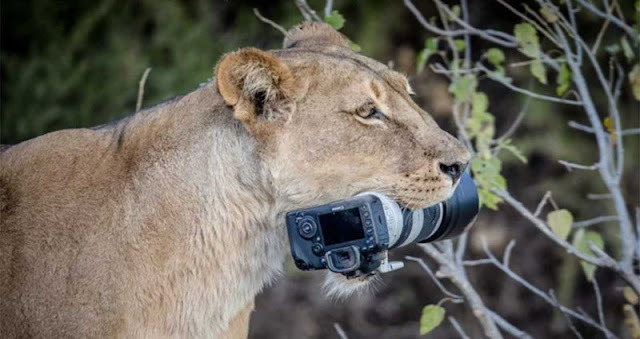 "They dragged it through the dirt, chewed on the lens hood and then fortunately, like most kids, soon grew tired with their new toy." After the pride left, Vorster retrieved her camera and found that it was still working – save for a few bite marks. "There are two huge teeth marks on the rubber focus rings of the lens and small teeth marks on the plastic lens hood, both of which I decided not to replace."